Sometimes you just want something hot, steamy, and satisfying. Get your heads out of the gutters. I’m talking about food here. In particular, I’m talking about chili. I wanted chili tonight. I wanted it bad. 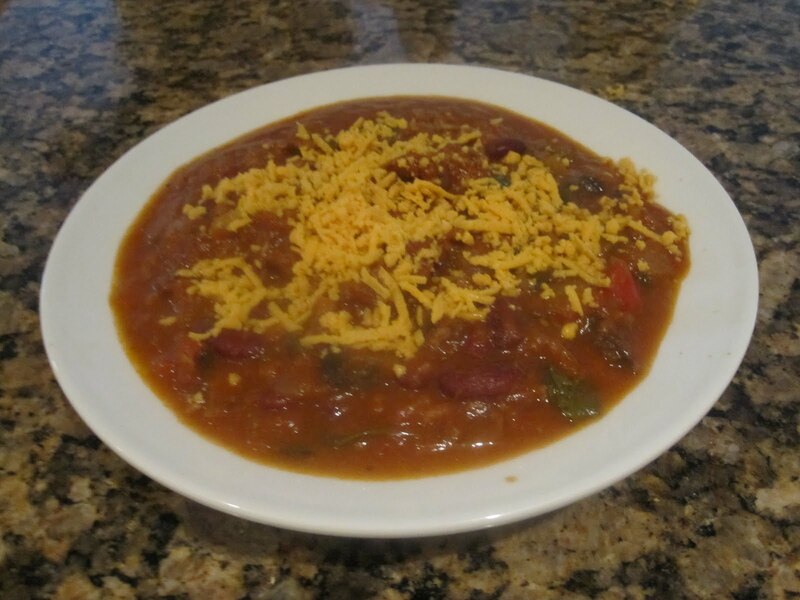 Growing up, chili was a ‘once in a while’ delight that I scarfed down with total abandon. My mom’s chili is amazing, stuffed full of spices, beef, beans, and cheese. I’m still trying to eat bland, I didn’t have any beef in the house, and I can’t eat cheese. But dammit, I was going to have chili tonight, come hook or by crook! I have no pictures of my lunch or morning snack today (I left my camera in the car!). But I can tell you I ate a peach halfway through my morning, and then for lunch I enjoyed a lavash turkey wrap with a smear of peach jam and spinach and a Fage 2% Honey Greek Yogurt. I think this might be my favorite Honey yogurt of all time because the honey tastes almost like pine honey. It’s got an explosive sweetness to it, and it’s incredibly thick. Part of the fun for me involves digging the honey out of its separate mini cup and dumping it onto the yogurt. I also bought a cup of watermelon slices from the food court. Delish! 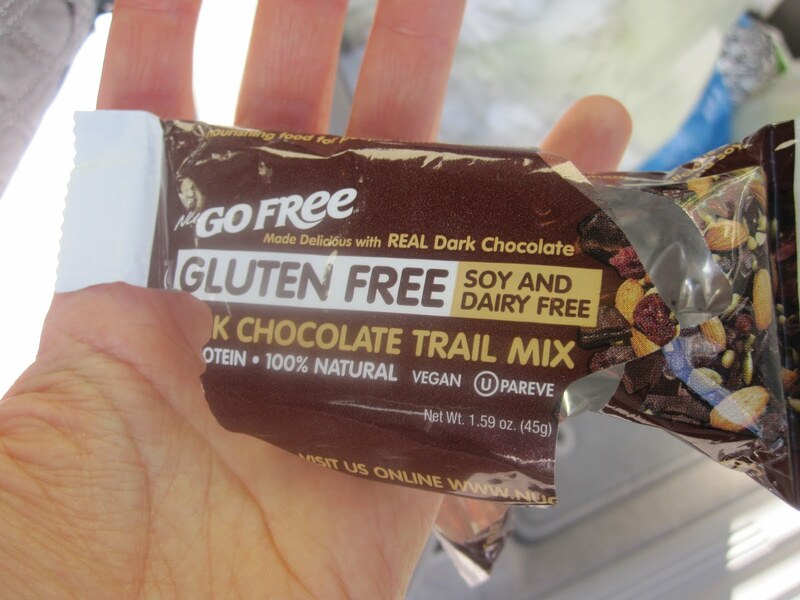 On my way out of work I ate a new bar: NuGo Free Gluten-free Chocolate Trail Mix Snack Bar. I’m no stranger to NuGo. I absolutely love their chocolate-y protein bars (they definitely take the edge off when I’m eyeing the Snickers bars in the vending machines at work!). When I saw these smaller bars at Whole Foods, I figured it couldn’t hurt to try them. I had previously sampled the Carrot Cake flavor and really enjoyed it. This bar had kind of a layered look to it…a smear of chocolate over a granola bar. It was delicious! And it’s lactose-free and gluten-free, so no chance of my tummy getting mad at me! When I got home I knew I’d be on my own for dinner. My parents are down at the beach (where I’ll be on Friday night, whee!) and there’s not a lot in the house I could look to for a substantial dinner. We have a ton of vegetables but I can’t have any of them because of their gaseous properties; it’s sad that there’s about three bags of broccoli in my fridge and I can’t eat them! Devastating. So I pondered my options. It was a little cooler today (at least the humidity has gone way, WAY down) so I didn’t feel the need to eat something to refresh me or cool me off. In fact, our AC is up pretty high so I kind of needed to warm up. I had bought some Morningstar Soy Crumbles and figured they’d make a good beef substitute, and set about making a chili. A less spicy, more forgiving chili. I combined 1/2 cup of Imagine Creamy Tomato Basil Soup with 1 c Geno Auriemma Tomato Basil Pasta Sauce. While it simmered, I threw in a handful of baby spinach, 1/2 c red kidney beans, 1/2 c Morningstar Farms Crumbles, a handful of diced peppers/onions, and 3 sliced portobello mushroom sides. I let it simmer away on the stove for about twenty minutes until it got thick. As for the spice, I added just a pinch of chili powder (although if my stomach were normal I’d throw in half the can), some salt, pepper, and then a little bit of cinnamon. I know that sounds odd, but it made the chili smell incredible. 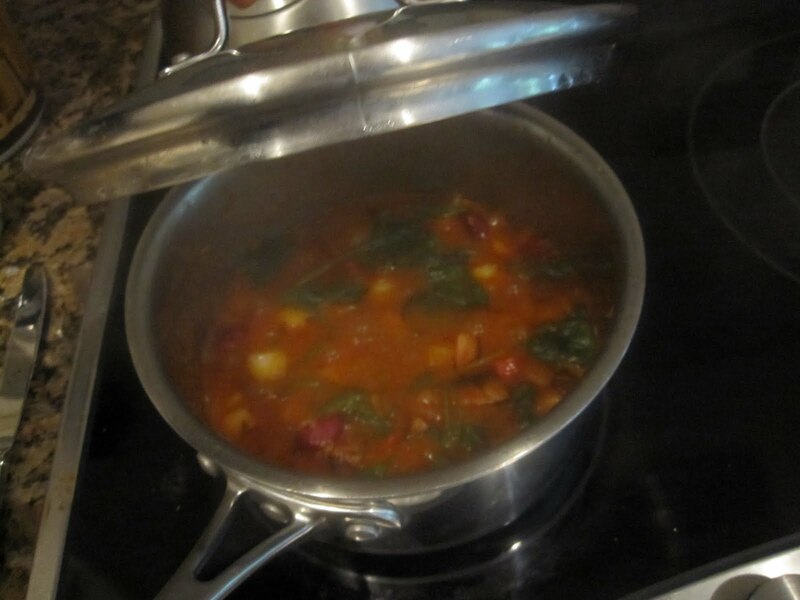 That doesn’t sound like a lot of ingredients but trust me-this recipe yielded a ton of chili. I topped it with a handful of Daiya Vegan Cheddar, and used two Wasa Hearty Crackers as dippers (and also makeshift spoons). This was exactly what I needed: a perfectly portioned yet gigantic bowl of hot comfort food. However, I didn’t wait long enough to eat it…my tongue is a bit burnt. After that, I was happy, but still a little hungry. I debated my dessert options (ice cream? Cookies? Chocolate?). I decided I really wanted some fruit. I still had a few of those amazing pears from the other day left in my drawer, so I pulled out a smaller one (smaller being relative, this sucker was still pretty huge) and got to work. By the way: These pears I’ve been eating aren’t Bosc. They’re actually Taylor’s Gold, which is a New Zealand cousin of the Bosc and a mutation of the Comice. One website described the Taylor’s Gold as the Bosc’s “wider-hipped cousin”. I loved that phrase! Apparently these are only in season for about two months and should be leaving shelves very soon. I’m glad I got to try them before they ran out. They kind of make Anjou pears obsolete in my head…these are just so much creamier and luscious, with a caramel-like backnote. 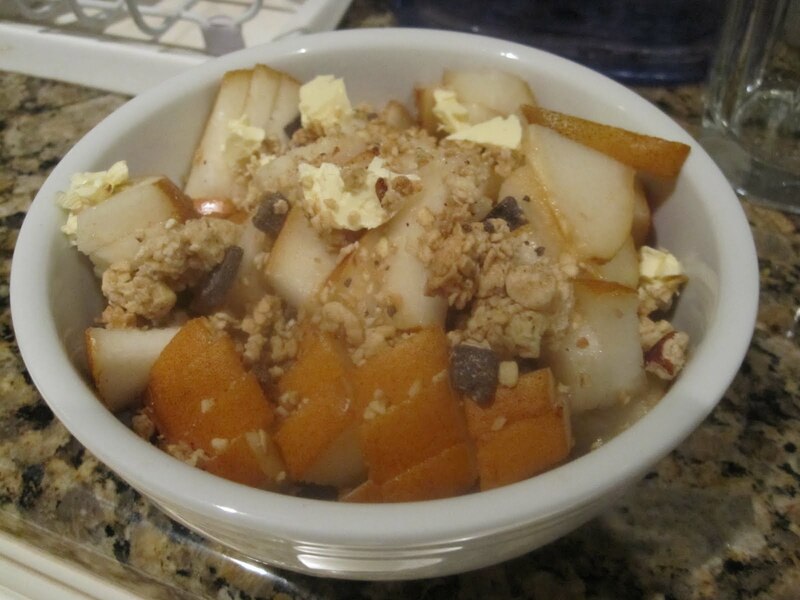 I cut up the Taylor’s Gold Pear into chunks and topped it with 2 tbsps Archer Farms Cannoli Chocolate Hazelnut Granola, along with a few pieces of Smart Balance Light to make it glossy. I microwaved it for three minutes. 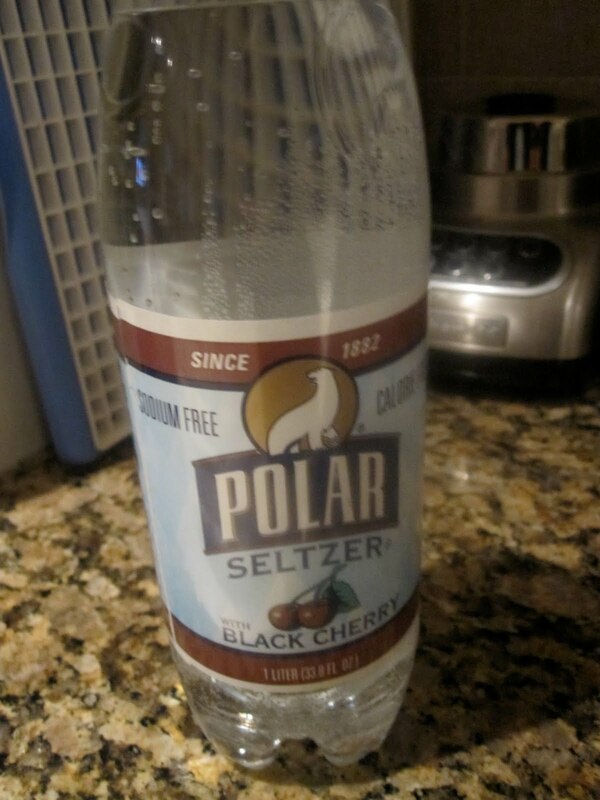 While that was going on, I enjoyed a love affair with my new flame: Polar Flavored Seltzer. Beautiful, beautiful stuff. 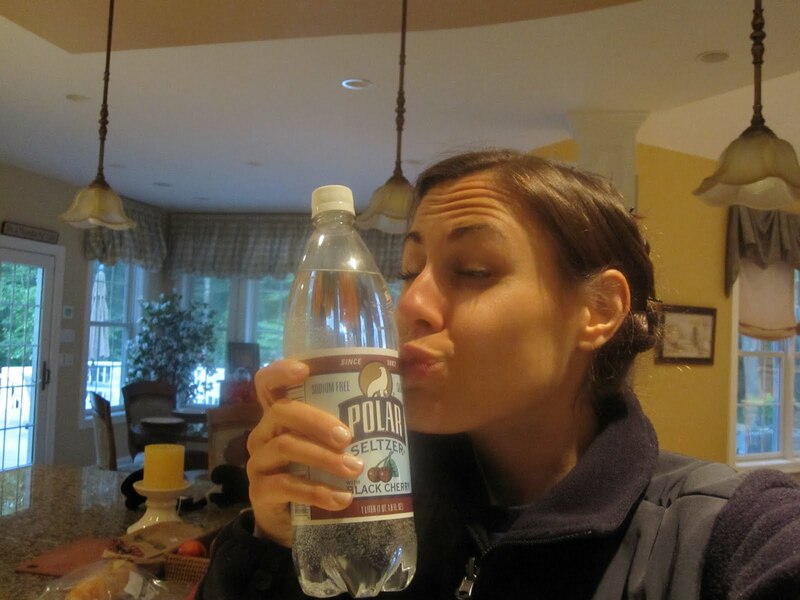 Ever since I gave up soda, it’s hard for me to enjoy fun drinks. Now, I can! I’m a bit in love. It’s a deep relationship. 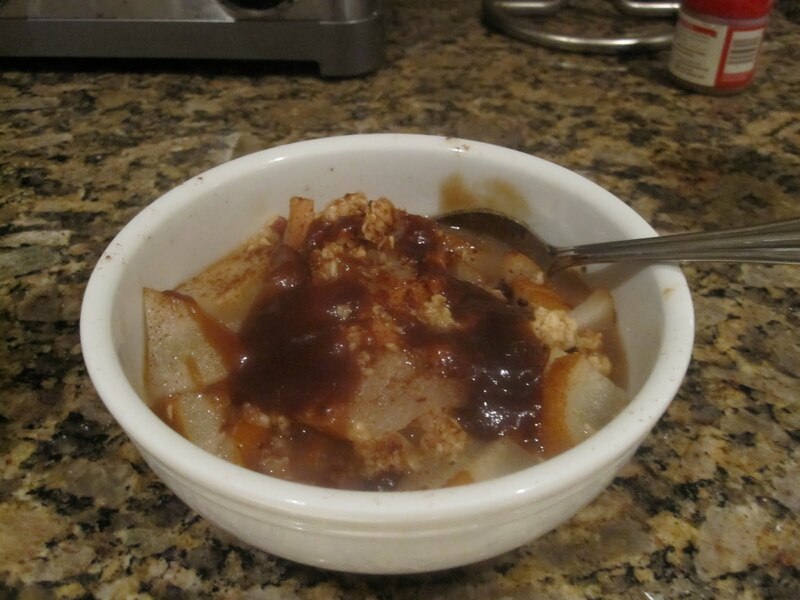 Thankfully, my amazing Microwaved Pear Crisp finished just in time to steal my heart away. I ended up drizzling some of the Stonewall Kitchen Caramel Apple Butter on it, because it was just too good of a marriage to pass up. I kid you not…upon my first bite of this, I actually yelled, out loud, “OH MY GOD” to my empty house. It was that good. I want to make this all the time, for the rest of my life. I think next time I’m going to try it with an apple, and with a little bit more granola. Now, I’m sitting comfortably with a heating pad on my back (standing at work all day really takes it out on my bad lower back), sipping Detox Cinnamon Tea, and catching up on my shows from the week. Is anyone else watching The Little Couple? I think Jen and I would be friends. I can see myself having a cup of coffee with her. She’s fantastic.